Gianluigi Buffon told English referee Michael Oliver he "has no heart" and should have been watching Juventus' Champions League quarter-final against Real Madrid in the stands "with his wife and a Sprite". Oliver awarded Real a penalty in the 93rd minute at the Santiago Bernabeu, after Juve defender Mehdi Benatia brought down Lucas Vazquez with a clumsy challenge from behind. Buffon was then sent off for his protests and Cristiano Ronaldo scored the resulting spot-kick to drag Real through to the semi-finals with a dramatic 4-3 aggregate win. "This referee has no heart, he has a garbage bag instead of a heart" Buffon told Italian channel Mediaset Premium after the second leg tie which his team had won 3-1. Real looked like they would cruise into the semis following last week's 3-0 victory in Turin but Mario Mandzukic gave Juve hope with two first-half headers before Blaise Matuidi levelled the tie after a mistake from goalkeeper Keylor Navas. Buffon's red card could bring a bad-tempered end to a magnificent Champions League career, with the 40-year-old Italian expected to retire in the summer. 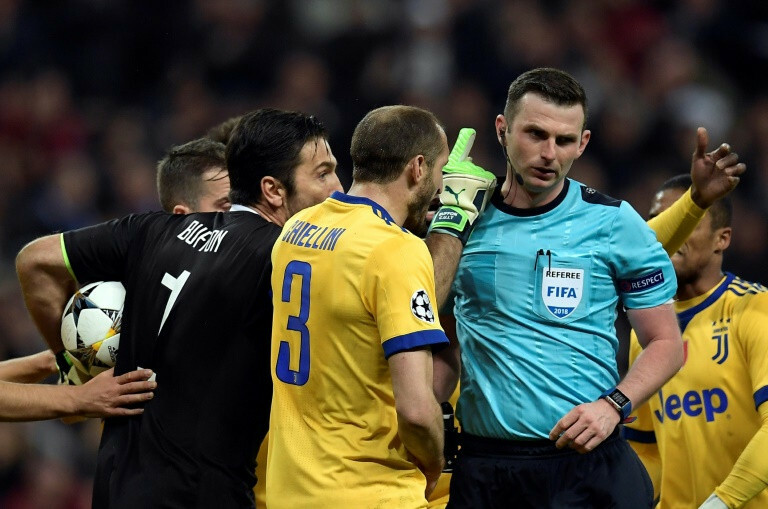 "The referee blew for a foul that only he saw," Buffon told beIN Sports. "Above all, for great matches at European level, we need big players, coaches, supporters and referees. "There must be some sensitivity to understanding the importance of some moments and if you do not have this sensitivity to what's going on in the game, you're not worthy of being on the pitch. "In this case, he should be in the stands with his parents, with his friends, with fries and coca-cola, and watch the game. You cannot do something like that." 0 Response to "'Referee has garbage bag instead of heart', rages Buffon"